Heidi One is a shooting game on www.bestgames.pk in which you will be a fighter in the universe space. Once it starts, you will be located in the universe space which has many stars and planets, and the color is blue which is very beautiful. Your task is to drive your ship to fight with your enemy. In the process, you have to clear all enemy activity and collect checkpoints. You can use the up arrow to forward, left arrow to turn left, and right arrow to turn tight. You can use these keys to avoid shooting, or your ship will be heavily damaged. If you want to repair your ship, you must spend gold which you can collect in the game. Please destroy your enemy with the plasma gun when you press the z key and fire missile with the x key. Collect all the gold, missiles, restore shield and checkpoint. You can buy a shield upgrade when you collect 600 gold and your shield are at 100%. Good luck. Skin And Bones is provided to you by www.bestgames.pk. This is a free puzzle game. You are expected to control a little boy and a skull to collect gems in each level. Press the Ctrl key to start the game. Move the heroes with the arrows and jump them with the key Ctrl. Press the space bar to shift among the two heroes. Do not get caught by the crabs. Visit this website for more free games. Sofia is in a jubilant mood. For, the relatives of her are on the way. Her mom told her that they will be staying for two weeks. Her joy is doubled when she learnt that her cousin is also coming to her abode. The name of the cousin is Parker. He is fond of honey. Luckily there is a big honeycomb in the garden of Sofia. She has decided to gather honey for Parker. In the process, dangerous bees might attack the poor girl. Today you are her saviour. Save the girl from the critical situation and let her collect as much as honey possible. Be aware of the venomous ones. Open your wide and do not become prey to their biting. The girl will be very much grateful to you if you accomplish the task without any flaw. The kith and kin are on the way to the abode. They will reach the home within an hour. Make use of each and every minute. Snow White is a beautiful teenager who was tired of being a good girl that would be mocked. 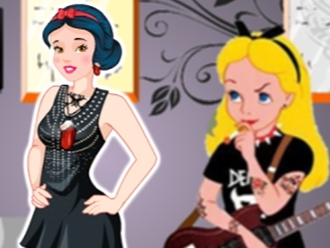 Snow White wants to be part of a rock band and to be a bad girl. Choose the right clothes for bad girl Snow White! 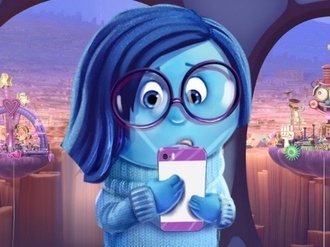 Start off this phone customization game by cleaning it first as you will see that it is quite in a rough spot. This way you will have a brand new looking phone that you can apply stickers and colors to.